At Ames Center for Cosmetic & Family Dentistry we take great pride in providing every patient with the very best possible dental experience. Our priority is to ensure that each patient is comfortable while receiving quality comprehensive dental care and treatment. Our treatment options are intended to fit your personal and/or family dental needs and expectations. 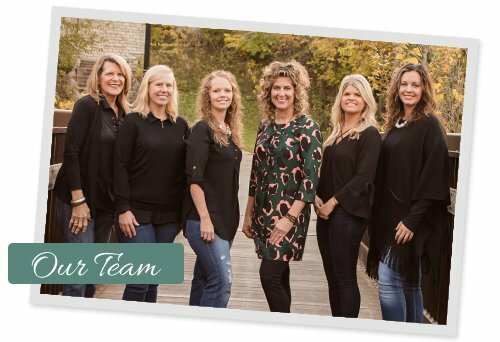 Our team will always work to build a positive relationship with you and assist you in making the best decisions regarding your own dental health through good communication, education, and collaboration. Why choose our Ames dental practice? We offer the latest in advanced technology and dental materials. Recently a new patient confided in us that she had done the research and found us to be most progressive and well-equipped dental practice in this area. We have the equipment, materials and expertise to provide high tech, high quality care! Whether you need a simple laser filling, an extraction, or a complete smile reconstruction, our team will always provide gentle care with a nonjudgmental attitude that will help you feel comfortable and safe! Many of our patients have told us that because of their bad dental experiences, they were reluctant to even make the call to set up an initial appointment. We want our patients to know that we understand and that they do not have to be embarrassed or afraid. We work very hard to provide an environment that is pleasant and unlike the cold, sterile office of the past. We like to build strong, positive, and caring relationships with our patients. We want you to know we care and that you can count on us to share information, discuss options and plan treatment with you! We want you to take a look at our Comfort Care Menu. As you arrive at our office, we offer refreshments, relaxing music, movies, and a pleasant environment. We will provide items like a warm blanket, pillow, a massage dental chair, or aroma therapy in our operatories. We love to get to know you and do whatever we can to make sure you are relaxed and comfortable. Dr. Amie has a passion for life. She is living her dreams and enjoying what she does! She set her goals early on and continues to pursue them as a life-long learner and achiever! Whether it be personal or professional, she is deeply committed and ambitious. First with Amie is Family. She is married to Jeff Nelson, whom she met during undergrad at Iowa State University. They have two beautiful children, Riley and Gabe. This family loves all things I.S.U., music, dance, sports, travel, and learning! Amie looks forward to family outings and activities. Second with Amie is Profession. She loves her work and the people she serves. Amie graduated with honors from Creighton University Dental School. She has attended Las Vegas Institute for continued advanced dental education so that she has earned a Fellow distinction there. She embraces cutting edge technology and the latest research-based practices so that she can give her patients the opportunity to enjoy the best possible dentistry available. She has the quality skills to offer treatment for complex problems using the best tools and materials. Most importantly, she cares about her patients and gives her best to keep them confident and comfortable as she improves their smiles! Third is Community. 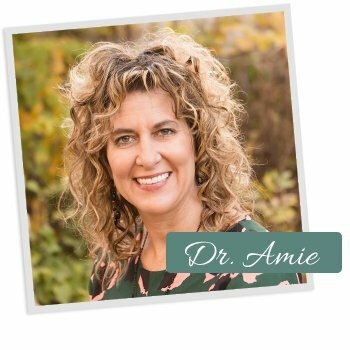 Dr. Amie wants to thank the Ames area for all of their support. Amie is very appreciative of her successes and wants to give back. She has served as supervisor of the Story County Dental Clinic and has provided free dentistry through Give Kids a Smile and Special Olympics. She served on the Boys and Girls Club Board and the Mary Greeley Foundation Board. She is a member of Ames Noon Rotary Club, past Board Member and also volunteers with Girl Scouts, her church, and local schools.